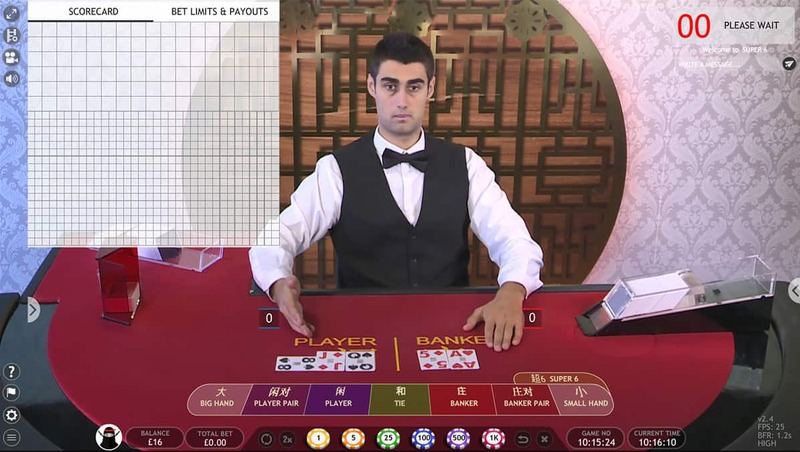 Being James Bond’s game, it’s no wonder that increasing numbers of online casino players are turning to Extreme Live Gaming’s Live Baccarat. With origins in the 15th century, it has a rich history in land-based casinos and is proving ever more popular online, not least because of its low-house edge and non-reliance on card strategy, unlike Blackjack or Poker. 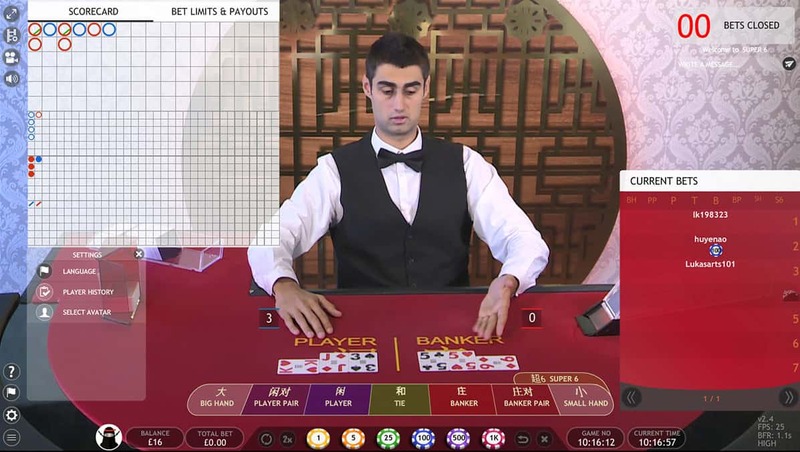 Extreme Live Gaming’s Punto Banco version sees us seeking wins of various kinds on the baccarat scale, and with a potential jackpot of 3,000 per hand it is a useful option to have in any Live Casino. The nuances of Baccarat are such that we are essentially betting on the outcome of two hands. We bet on either the Player (Punto) or Banker (Banco) to win the hand, or on a tie. Whichever hand lands closest to 9 will be the winner. As such our various bets are highlighted sweetly by a graphical betting board with each bet highlighted in different colours. During the betting round each of these bets is highlighted by a light, and every winning bet is also highlighted neatly. Extreme Live Gaming’s favoured chip eruption upon scoring winning hands sees a welcome return. 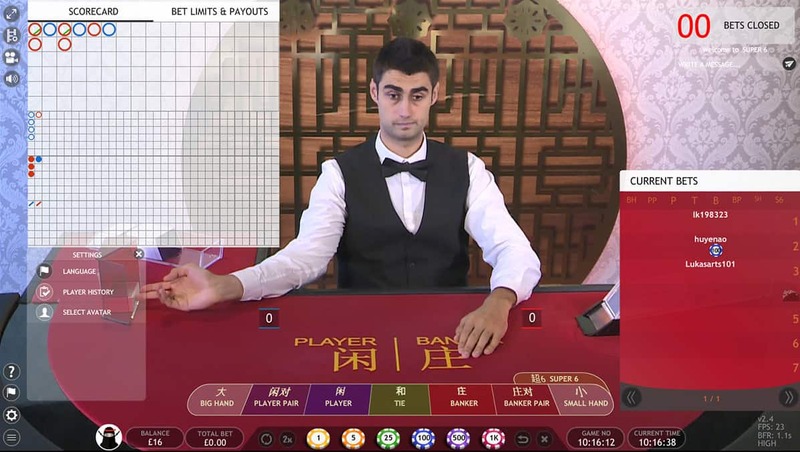 Punto Banco - the favoured Baccarat variant across North America, United Kingdom, Australia and parts of Europe - offers speedy gameplay thanks to its fixed House Edge. With 15 seconds in which to place our bets and only four - six cards dealt per hand, the gameplay turns around quickly. The aim of the game is to bet on either the Player or Banker with payouts of 1:1, or a Tie (payout 8:1). Face cards are worth zero, and if we hit double figures only the second digit will count towards the tally (for example 16 versus 15 will be 6 against 5). Quite simply, the hand that finishes closest to 9 wins. Not so simply, we have nuanced bets such as the Small Bet (3:3 payout) and Big Bet (0.54:1 payout), namely that either hand will win but will win with four cards or five-six cards. We can place these bets additionally to our other bets. 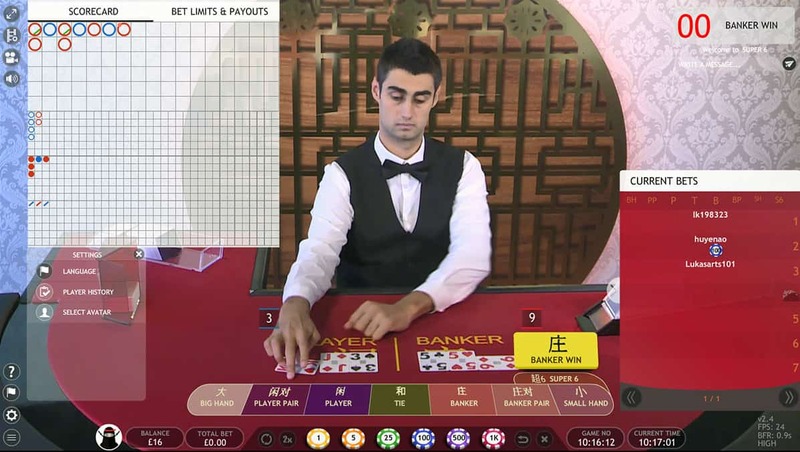 Baccarat isn’t your average everyday Live Casino game, but its game-play nuances are easy enough to grasp (Extreme Live Gaming’s help page is comprehensive and well detailed). Live Baccarat offers a fresh challenge to Blackjack and Poker, with speedy game-play, good payout potential and excellent betting ranges. We are also not reliant on or at the mercy of the strategy of others, as we can be with Blackjack, for example. Live Baccarat is fresh, it’s nuanced and it’s a must play.